HP has been a pioneer in creating an incredibly thin and well built laptop. 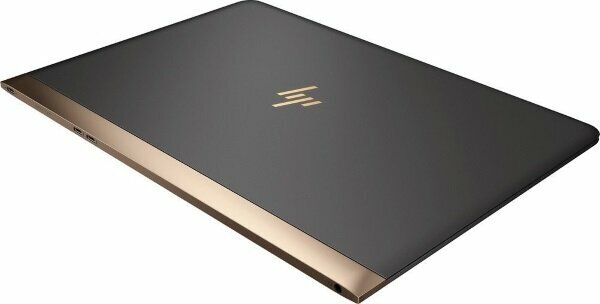 The HP Spectre is truly one of the best slim laptop on the market – it was the slimmest before the Acer Swift 7 beat it as its own game. While its quite expensive, it’s really a great, quality laptop. It has some flaws, but who’s perfect right?! 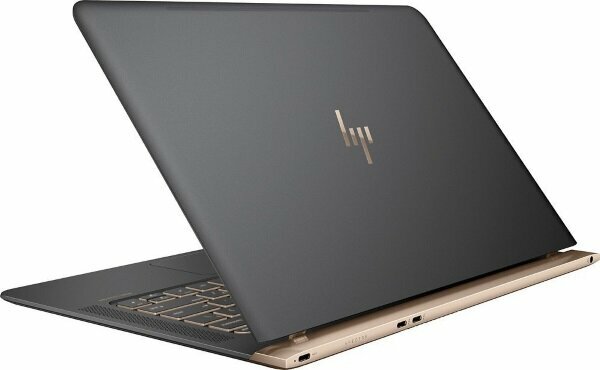 As one of the major laptop sellers in the world, HP has produced all kind of laptops over the years. From the worse to the best. The HP Spectre 13 is definitively part of the latter. It’s really a great laptop with few flaws. Its best features are its awesome screen, good audio and landmark design that will make eyes turn everywhere you go. Performance on the HP Spectre is really good – even more if you go with the i7 processor – and the SSD hard makes it speedy fast. 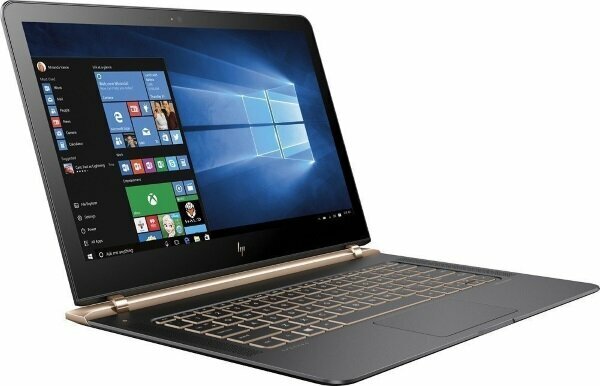 Oh wow, what a great design the HP Spectre 13 has. It’s one the slimmest laptop on the market with its 0.41″ thick body (that is thin!). It’s a well engineered and high quality frame that feels solid when you hold it. It’s as light as you can get and definitively looks premium with the gold and black metal body. Maybe the only bad thing to say about it is that it runs pretty hot and therefore fans are often active and can get noisy. This version of the Spectre comes with an Intel i7 processor with 8 GB of RAM, which is one of the fastest processor on the market with enough RAM for almost everyone. This version will allow you to heavily multi-task, watch hi-resolution movies and will take pretty much anything you throw at him (it’s not good for gaming though). Oh my. What a screen. That 13-inch really offers clear & vivid colors, and high brightness. It’s really a pleasure for the eyes. 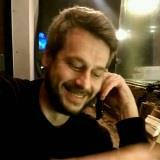 Glossiness might be a problem though if you often work in sunny rooms and there is no touchscreen available. The 256 GB SSD hard drive offers speedy performance and ultra fast boot time. Ports might be a problem if you need a lot since you do get less than some others – thicker – laptops. HP provided 3 USB-C ports. While it’s better than let’s say some Apple products, it might be an issue if you often use classic USB keys or need HDMI. Battery life is quite disappointing. While HP claims it will last 11 hours, in real life that won’t happen. Expect a 6 hours, so not enough for a full day of work. So if you go for the day, you’ll have to bring the charger. That takes away some of the benefits of having an ultra thin and light laptop. With its Bang & Olufsen speakers, the HP Spectre 13 has speakers that sound pretty good. They will fill a medium room with rich and clear sound. Of course, it’s still a laptop so don’t expect that much bass or to be able to have a house party with it. But as far as laptop speakers goes, they sound great even if they’re not the best on the market. The chiclet keyboard is good, responsive and backlit. There, HP managed to create something good. Because of the heating problem, it does become a little warm after a while though. Nothing too uncomfortable, but you will notice it. The glass trackpad is also good and responsive, even if the ones on Apple products are better.